Believed to be the lost Atlantis, the island that sunk in the sea, according to the great philosopher Plato, Santorini has its origins in the volcanic activity that shaped a tiny island of only 73 km², less than half of its original size. Santorini became what it is now in the 1628 b.c after the volcanic eruption that created the caldera and sink half the island, due to the tremendous geological activity we have nowadays such diverse landscapes. 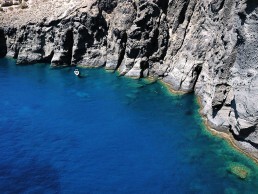 The deepest part of the caldera reaches beyond the 400m (1200 feet), and the south and east side of the island have the shallowest diving spots. Through all the summer we have the Meltemi winds coming from the north, so usually the south coast is the most protected one. Santorini enjoys a Mediterranean weather, with almost no rain in the period between May and September with sun all summer long. 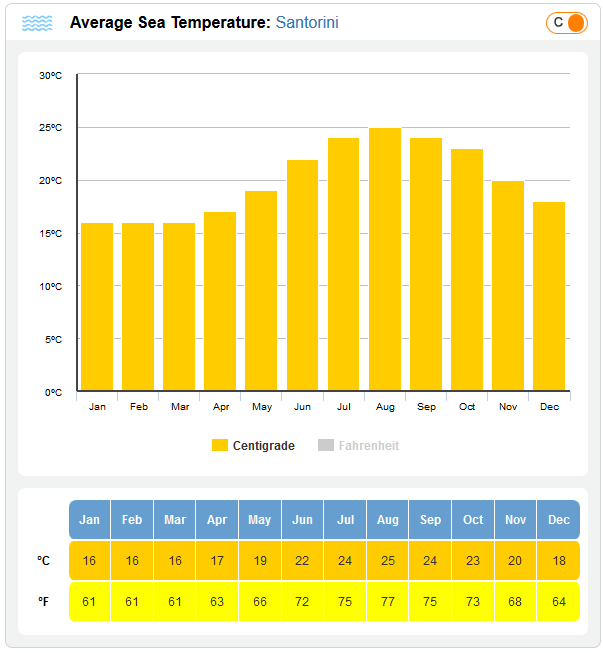 Those are the average temperatures. 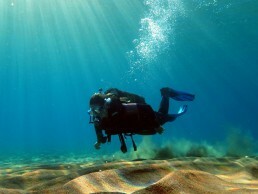 Diving in Santorini is very relaxing, the Aegean Sea is a friendly, non demanding environment. The visibility ranges from 20 to 30 meters (60 to 90 feet) all year round, and we don´t have tides, so the water movements are minimum, also the currents are well known for being inexistent or very low. Such good visibility temperate waters and no currents or tides makes it the perfect spot for a relaxed diving. The water temperatures range from 19 degrees in May until its peak of 25-26 Celsius degrees in July – August, we usually dive with a 5mm wetsuit, in the warmest months even a shorty wetsuit will do the job, but we always offer 5mm long wetsuits for our customers. If you´re planning to bring your gear, a 5mm long wetsuit will do for almost all the year, If you´re likely to get cold while diving we can also provide you with hoods, socks, gloves, and we can always put another shorty wetsuit on top. The diving tanks we use are made of steel, in 10 or 12 liters size, also 15 liters on request, different tank sizes are for different depth dive sites. 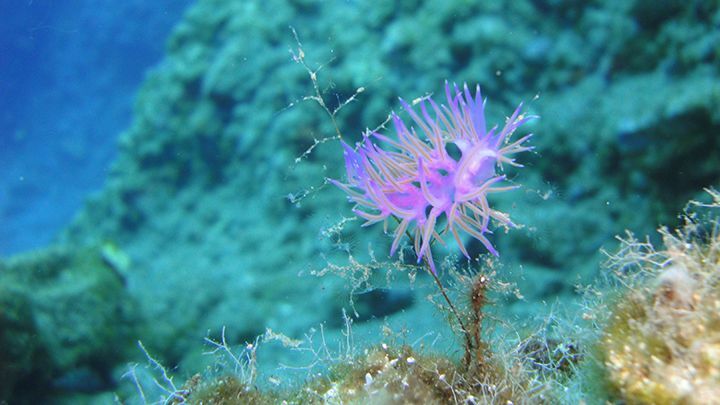 With most of its biodiversity located where the Posidonia meadows are, the island also offers the opportunity to be amazed by the bright colors of the different families of sponges that grow in such hard environments as lava. Jacques Cousteau came to Santorini with his boat, the Calypso, in 1978 and filmed here part of the documentary “Calypso’s search for Atlantis”, trying to prove if Santorini could have been the mythological island of Atlantis. 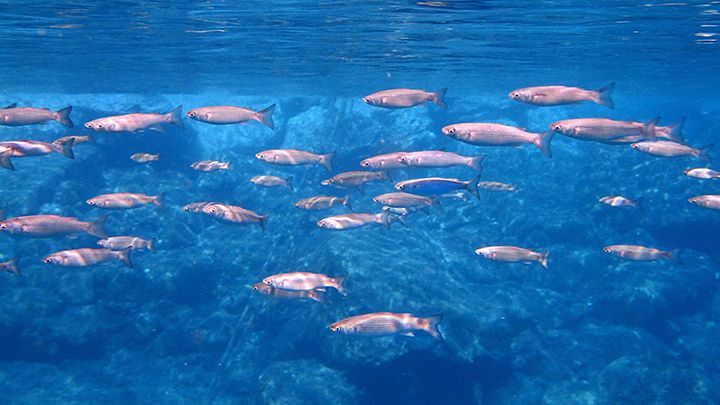 Submerge yourself in the mythological caldera of Santorini,enjoy the crystal clear waters of the Aegean sea,and explore the underwater world with us! 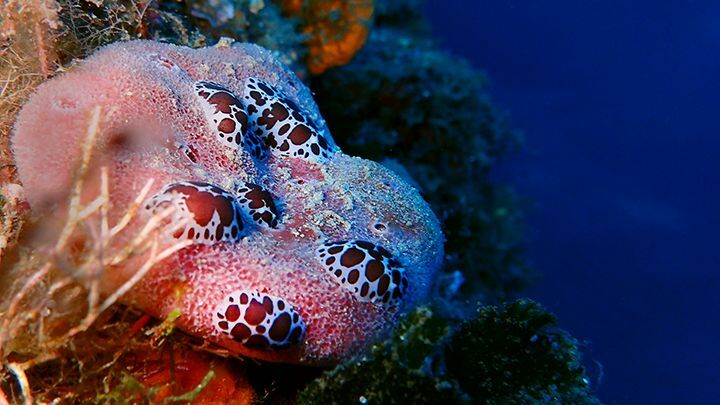 Book your 2 dives with us and enjoy the magic of Santorini´s underwater enviroment.